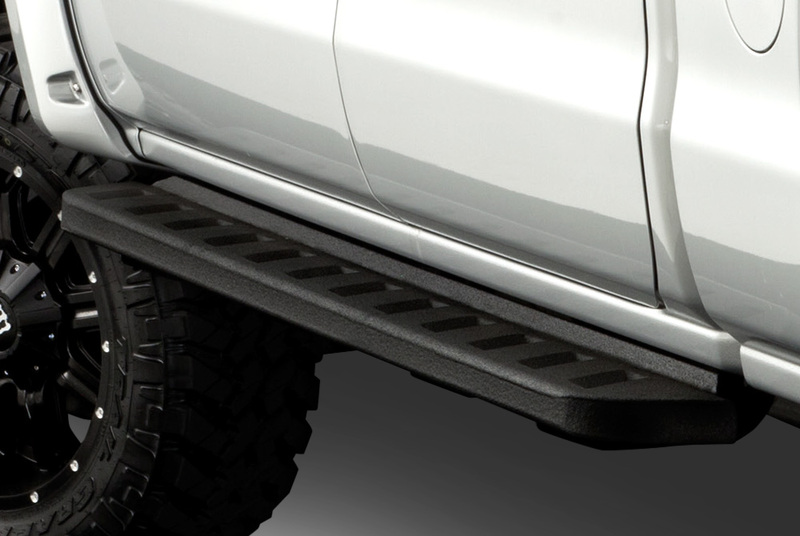 Go Rhino running boards for your truck - Ford F150 Forums - Ford F-Series Truck Community. If you want to add some comfort and extra touch of custom style to your truck, you can start with installing side steps. These are extremely useful parts as they provide solid and secure footing for accessing your vehicle's cabin. 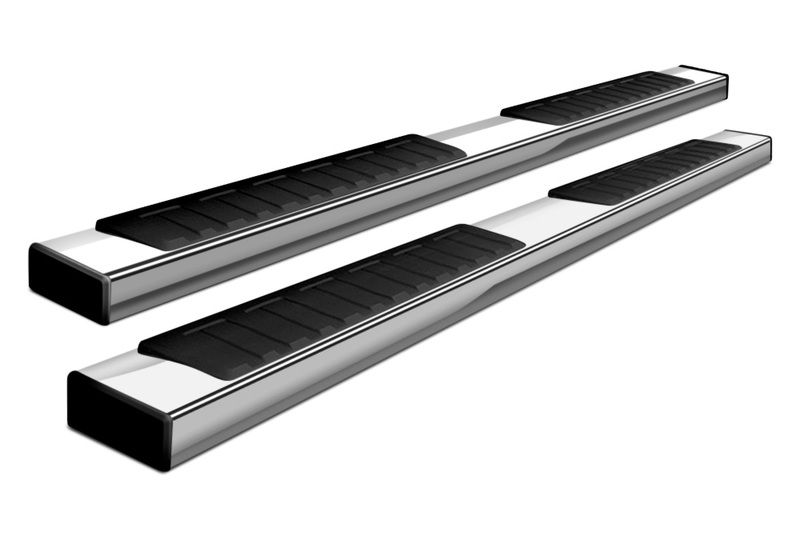 With side steps attached to your car, you won't need to pull a hammy every time you hop into the driver's seat or try to reach your items stocked on the roof. To avoid such experience, engineers from Go Rhino created designed 3 different pairs of side steps to meet all your needs and tastes. They are now available for the brand new F-150 2015! Go Rhino® - 2.5" Dominator D2 Round Side Steps are cab length, and sport a unique and edgy, drop down step design, with race style, aluminum step pads. The drop-down design allows for easy moves in and out of your vehicle. 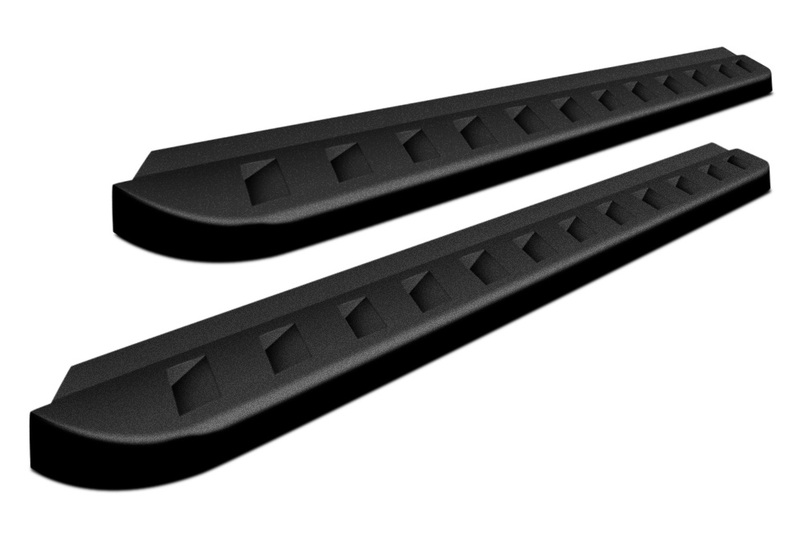 The Dominator II SideSteps come with brackets designed to fit factory mounting points on your specific vehicle and are very easy to install. Go Rhino® - 6" OE Xtreme II Oval Side Steps offers factory styling and exclusive SuperGrip™ step pads for maximum grip in all weather conditions. Open channel, multi-fit design matched to factory-style mounting brackets look great on any truck. 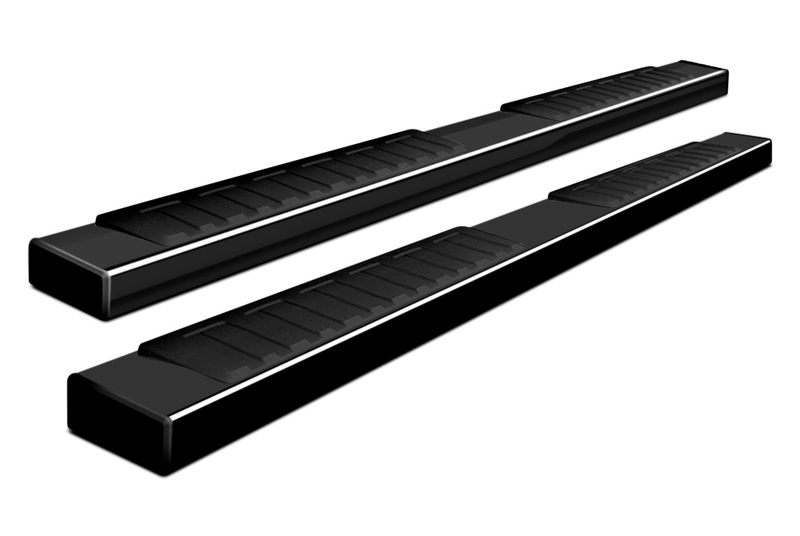 Go Rhino® - RB10 Running Boards protect your paint from flying stones and gravel while providing a wide, full-length step platform for easy entry front or back doors. Raptor-style, built from 16-gauge zinc-coated steel and sprayed with a durable Black texture finish for corrosion, impact and abrasion resistance. 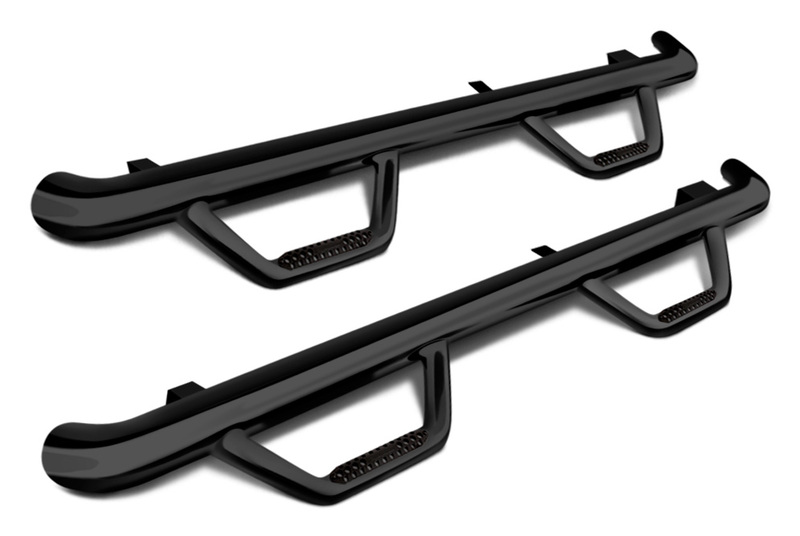 RB10 Running Boards include a vehicle-specific, no-drill mounting bracket system.